"Excellent value for money.I have just finished reading this book. 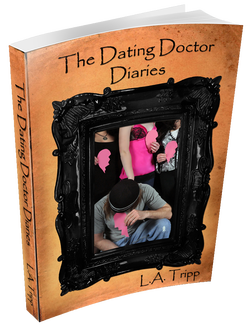 It is split into two sections, the first is a detailed account of Mr Tripp's experiences of being a PUA and his relationships with women. How he met them, how gamed them, the jealousy between them and how he managed to keep them, how he and they interacted with their families, how the women interacted with each other. These accounts are in my view very honest, because Tripp not only highlights his many successes, but openly admits where he sometimes made mistakes. The gaming accounts are interesting because they are highly descriptive, mentioning the details of the women's and his own body language during the interactions. It is almost like you are at a nightclub and he is explaining to you what he is doing and how the girls are responding, you can picture it in your mind. The second part of the book is more like an instruction manual on how to achieve the success mentioned in the first part of the book. Gaming methods combined with advice on how to make yourself more attractive. For example, there is a lot of detail and emphasis on not showing neediness. But whilst most other literature simply tells you not to, Tripp tells you where you are likely to be going wrong and inadvertently displaying it. Not only in person, but in texts and phone game. While many other books I have read on the subject concentrate on individual routines whereas this one harmonises them together into a single composition. A must for anyone who wishes to improve his success with women, or indeed with life in general because much of it is transferable to other areas."